I am a figurative sculptor working in bronze and cold-cast bronze, creating both large and small sculptures. I draw my inspiration from everyday life, often children at play, portraying those happy scenes of joy, wonder and contentment. 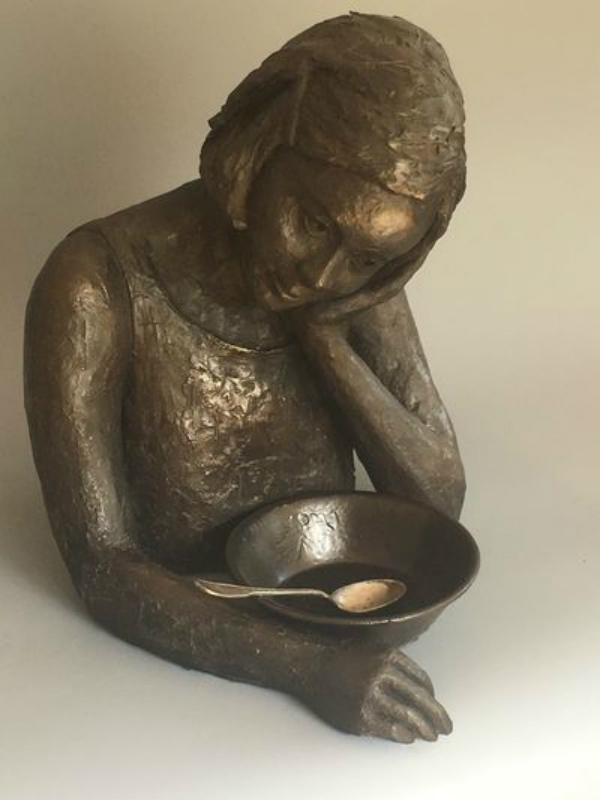 Without being overworked my figures retain a lively quality which resonates with our own feelings, reminding us each time we walk past them of the small- but meaningful- moments which make up all our lives. Formerly a lecturer in Art and Design for Plymouth University Institute of Education, Antoinette exhibits throughout England and continues to teach sculpture classes in Devon.